Well, you don't have to watch DM1, but I think it would be a mistake to dismiss it just because of Steve Carell. Should I watch part 1 first, or is knowing that he turned from bad to good after taking care of the girls all I need to know? For what it is worth .. i liked the first one best. It is a good watch. And it isn't Carrell being Carrel. I liked both of the Despicable Me movies. Overview Researchers in Antarctica are abducted by a team of masked storm troopers. They are dragged deep underground to a hidden continent in the center of the earth. Here Nazi survivors, their bodies a horrifying patchwork of decaying and regenerated flesh, are planning for the revival of the Third Reich. My thoughts ”The Asylum Presents” - do you get excited when you see opening credits starting with that? If you do, then you are a sucker for trash movies. I know I am, sometimes. The Asylum is known for their ”mockbusters”, cheap imitations of big blockbusters. And sometimes not quite so big blockbusters. I guess this movie was inspired by Iron Sky (nazis on the moon). Well, at least they didn't rip off the title, like they usually do (like ”Atlantic Rim”). You know you're in for a ”treat” when the best actor in the cast is Jake Busey. And you check out the director and find out that he's one of The Asylums favorite visual effects guys. If you're familiar with the standards of The Asylum's visual effects you may say to yourself ”Well, let's hope he's better at directing” but in your heart you know that visual effects guys seldom make great directors, and that's certainly true here. So is this one of those ”so bad that it's good” films? Well, some people seem to think so. I'm on the fence on this one. It's mostly just bad. It does get wacky when it comes to the giant robot with Hitler's head. I guess that part of the film would qualify. I found this title in a SEK 10.00 sale (that's about $ 1.50). I guess I can say that I got my money's worth. Overview The "Maniac Cop" is back from the dead and stalking the streets of New York once more. Officer Matt Cordell was once a hero, but after being framed by corrupt superiors and brutally assaulted in prison, he sets out on a macabre mission of vengeance, teaming up with a vicious serial killer to track down those that wronged him and make them pay...with their lives! Robert Davi (LICENSE TO KILL), Claudia Christian (THE HIDDEN), Michael Lerner (BARTON FINK), Laurene Landon (HUNDRA), Leo Rossi (HALLOWEEN II), Robert Z'Dar (TANGO & CASH), Charles Napier (THE SILENCE OF THE LAMBS), and Bruce Campbell (THE EVIL DEAD) star in this chilling, action-packed sequel written by Larry Cohen (IT'S ALIVE) and directed by William Lustig (MANIAC). Featuring a brand-new 4K High Definition transfer from the original camera negative, this definitive presentation of MANIAC COP 2 comes packed with exclusive Extras! My thoughts I believe I have Jimmy to thank for this. I saw this title in an ”On Pre-Order” post, and even though I don't recall for certain, Jimmy seems like the most likely suspect to have this on pre-order. Anyway, I'm glad I bought it. It's a great film. When you see ”Stunt coordinator” among the opening credits, you expect a wild ride, and you get one. I liked the original, and with three times the budget, William Lustig had the chance of going one better, and he delivers. Lustig takes a tip from Hitchcock, and goes a little ”Psycho” on us. I won't say more than that, because I don't want to spoil the surprise. The two Roberts (Davi and Z'Dar) do a great job.The makeup job on Z'Dar is perhaps a little bit over the top, but what the heck. The violence in part 1 may have been restrained, but Lustig goes all in here, with blood splatter that seems inspired by The Wild Bunch. If you enjoyed the original Maniac Cop, then this one should be a no-brainer. I believe I have Jimmy to thank for this. I saw this title in an ”On Pre-Order” post, and even though I don't recall for certain, Jimmy seems like the most likely suspect to have this on pre-order. I don't think I've posted it in the pre-order thread but I've kind of did the same in the whatyougot thread since I talk about them before I got them. Well, I'm glad I got wind of Maniac Cop 2. I had no idea that there were any sequels. I think I'll pass on part 3, though. I read that Lustig walked off it and that the result is somewhat of a mess. I'd be interested to learn what you thought of it, though. Didn't find it that bad... Not as good as the second but it was an enjoyable watching, at least the action is there. Personally, I don't understand why Lustig didn't want his name attached to it (of course, it's a uncut version wich certainly do a difference). Ok, I guess maybe I'll give it a try. It's bound to be better than Nazis, anyway. Overview In 1958, this film literally circled the globe. It was showered in prizes and became one of the most significant films of the 20th century. Among its many awards, it won the Grand Prix at the World Exposition EXPO 58 in Brussels. It is the first of several Zeman films inspired by the works of Jules Verne. Here, the director tried a new artistic style to bring to life the black and white engravings made by the first illustrators of the Jules Verne books, Édouard Riou and Léon Benett. Throughout his life Zeman continued to develop this new style, using it to create his visionary worlds. Together, Verne's timeless story of an exploited inventor whose work falls into the hands of criminals, threatening the entire world, along with the paper look of the scenes, and dramatic stylization throughout the film, all contribute to the unique appearance and original atmosphere of this work of cinematic art. My thoughts Although the story reminds one quite a lot of ”20,000 Leagues Under the Sea”, this film is – as far as I can tell – based mainly on another of Jules Verne's books, ”Facing the Flag”. I haven't read that book, so I can't tell how closely this film follows the book. It's a fascinating film. The DVD from the Karel Zeman Museum in Prague is probably the best quality in which this film has been shown outside of theatrical performances. Those weaned on modern fast moving CGI action films may perhaps find this slow and possibly boring. I absolutely loved it, though. Highly recommended! Overview The fateful encounter of the Monitor and the Merrimack, history’s first-ever battle of ironclad ships, was not the U.S. Civil War’s lone naval milestone. Desperate to break the stranglehold of the North’s coastal blockade, the South built and sent into war the hand-powered submarine CSS Hunley. Armand Assante (as Lt. Dixon, the sub’s skipper) and Donald Sutherland (as Gen. Beauregard, the Confederate commander at Charleston) star in this fact-based tale of The Hunley and its crew. The ship is iron, engineered from a large steam boiler. The crew consists of nine volunteers, men destined to change the world forever in a submersible ship that was the first combat vessel of its kind – and the last hope of the Confederacy. My thoughts A fascinating story about the first US (handdriven) submarine and its use in the civil war. Surprisingly, the best known actors – Donald Sutherland and Armand Assante – give the least convincing performances, in my opinion. But even so, I enjoyed this film quite a lot. It's a pity that this DVD has no special features. A story like this would have benefited quite a lot from some documentary background material. But with these made-on-demand DVDs you very seldom get any extras except possibly a trailer. Well, I guess we just have to be glad that this movie was made available at all. Overview On a hot summer afternoon in the sleepy town of Blackwater, Louisiana locals exiting a retro-fitted theater excitedly watch as a meteor streaks across the sky and crashes through the roof of the local Natural History Museum. No one realizes that the meteor is actually a spaceship containing a shape-shifting life form. In order to adapt to Earth's atmosphere, the life form latches on to the first organism it comes in contact with - a partially frozen Woolly Mammoth found in the historic exhibit for which the town is famous. As a series of uncanny disasters unfold, the town quickly finds itself overrun by the alien-possessed mammoth. Local authorities and Government Investigators join forces with Frank Abernathy, the Museum Curator, and his father Simon, a B-Movie enthusiast to bring down the mighty mammoth, thus saving the town (and the world) in a wild adventure that blends the 50s alien-invasion flick, and the 70s revenge-of-nature opus into a marauding monster mash! I suppose you could enjoy this as a ”so bad that it's good” movie if you're in that frame of mind. But I guess I was not. As is usually the case in Sci-Fi Channel movies, the CGI is... well, let's be kind and just say it's not too convincing. I liked Vincent Ventresca as The Invisible Man (2000-2002), but he does nothing for me here. Summer Glau is cute, but she has developed quite a lot since this was made, both as an actress and as a woman. This was another of my $1.50 DVDs, and I'm glad I didn't pay more for it. Overview TV drama re-telling of the classic treasure-hunting tale starring Dirty Dancer Patrick Swayze. Renowned safari hunter Allan Quatermain (Swayze) has given up the life of an adventurer, vowing to leave the natural beauty of Africa to its own people and its destruction to others. His acceptance, however, of a handsome offer from beautiful Elizabeth Maitland (Alison Doody) holds the promise of an expedition of another sort - to find the desperate woman's missing father who disappeared in Africa while searching for the legendary King Solomon's Mines. Quatermain knows the legend of King Solomon well. He also knows that no living soul who dared to seek out the world's greatest treasure has ever returned alive. But for Quatermain and his band of hardy adventurers no challenge is too great or too dangerous. My thoughts Now here is a $1.50 purchase that was money well spent. A bit long for my taste, but still it never got boring. Patrick Swayze is quite good as Allan Quatermain, but he looks terribly concerned all through the film. Alison Doody is fine. Roy Marsden is good too, once I managed to not think of him as Commander Adam Dalgliesh. I'm not sure how close this is to H. Rider Haggard's novel, but I have a feeling that it's not all that close. It's a good enough story, though. Shot in South Africa, the locations look great. I'm not always too keen on Hallmark productions, but this one was quite good. Overview A young boy learns that he has extraordinary powers and is not of this Earth. As a young man, he journeys to discover where he came from and what he was sent here to do. But the hero in him must emerge if he is to save the world from annihilation and become the symbol of hope for all mankind. My thoughts First of all I'd like to make a comment on how I feel about special effects in general. Effects, both practical and visual, but perhaps especially visual effects, should be used only when necessary to move the story along. I hate ”because we can” effects. They detract from the story rather than help it along. So, Man of Steel. I have mixed feelings about it. I liked Henry Cavill as Superman. I thought he was a great choice for the role. Definitely the best Superman after Christopher Reeve, perhaps even better than him. I actually liked all the main male actors; Michael Shannon as Zod, Russell Crowe as Jor-El, Kevin Costner as Jonathan Kent. The females, not so much. Not that they were bad, they just didn't have much to do, and didn't put in any exceptional performances. I suppose Amy Adams was ok as Lois Lane. 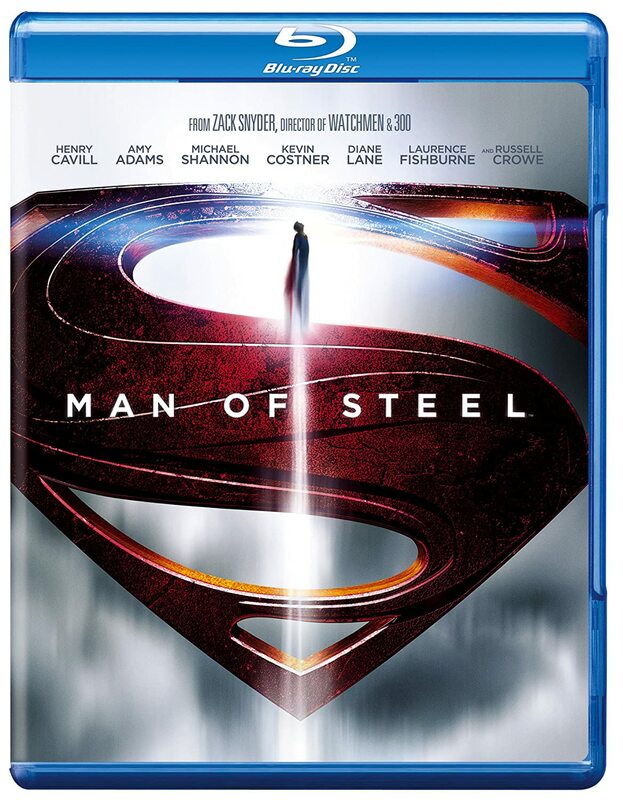 I guess many Superman fans were enraged by the way the movie makers chose not to adhere to the Superman mythology. I was never that much into Superman, so it didn't bother me. What bothered me a lot more was the prolonged fight scenes. They were way longer than necessary for the story. They just seemed to exist for the ”because we can” visual effects. Fine if you value effects over storytelling. I just don't. As for the story itself, it felt too much like a prolog. Even though it didn't end with a cliffhanger, it felt like just a setup for a sequel. I guess that would be Batman vs. Superman. So, while it had some quite good parts, I found the movie not very satisfying. Cavill rocks, though. Overview A group of animal rights activists get wind of an island where terrible experiments on animals are made in hope of developing new biological weapons. They go there with the mission of freeing the animals, but all does not go accordingto plan, and soon they realize that they may be the only ones that can stop a world wide disaster. My thoughts Animal Protector is one of three movies that Swedish director Mats Helge Olsson (usually credited as just Mats Helge) made with David Carradine. Rumor has it that Olsson hired Carradine for one film, but unbeknownst to Carradine shot scenes for three films. I find that story a bit hard to believe. I don't see how Carradine would not realise that he was playing three different characters. Be that as it may, this is a typical Mats Helge B-movie. Lots of shooting, explosions and fights, weak story and – for the most part – even weaker acting. Swedish bottom-of-the-barrel actors trying speak American English. And all this is not helped by the substandard quality of the DVD release. Barely better than VHS video and audio quality. Unless you're really interested in Swedish B-movies, or you are a die hard fan of David Carradine, there is very little reason to watch this film. And I strongly suspect that the same goes for the other two Mats Helge / David Carradine movies (The Mad Bunch and Fatal Secret). I doubt that any of them are available outside of Sweden anyway.